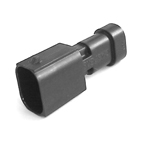 This connector mates to the AMP / TYCO part number 2-967642-1 in the micro-power and quad lock series connector. 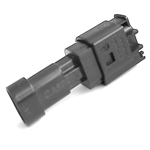 This connector is commonly found on high pressure sensors and transducers. 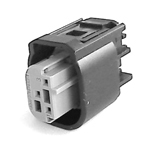 Our connector uses the standard 0.64 Molex terminal and includes the rear cable seal. This is a push to seat connector for easy assembly and disassembly.